To check the rising cases of diarrhea, typhoid fever and cholera among adolescents and young people in Tyulen community, Goma Local Government, Benue State, EVA, with support from MercyCorps launched the Water, Sanitation and Hygiene (WASH) Project in year 2012. The project is also a strategy used by MercyCorps to curb incessant clash between pastoralists and farmers in the community. The project is focused on building capacity of local leaders and a mechanism for sustainable peace. Each time conflict between farmers and pastoralists escalates into a full blown violence, water and hygiene of the environment is always polluted. Coming at the heels of request of the community, the program uses behavioural change method to sensitize and halt the nauseating practice of passing faeces at the river side which pollutes the river and the environment. 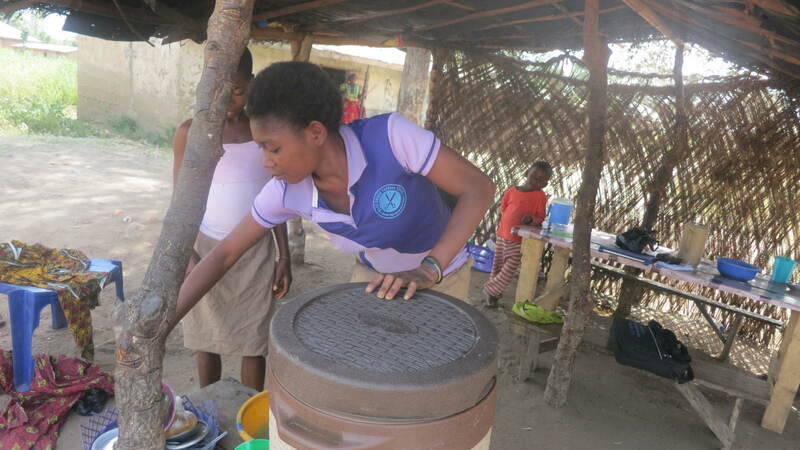 At a specialized training for selected young people and adults in the community, the project lectured community members on taking proactive steps to reducing spread of water and air borne diseases by keeping a clean environment, washing their hands before & after meal, and after using the toilet, covering their food before eating, ensuring they keep their toilet clean and eradicate the habit of throwing feces around the house and the river side located in the community. Grace Nagwa, a food vendor in the community who participated in the training said she learnt how to make her canteen look good and appealing for patronage. According to Ali Abdul, the river serves most member of the community but not hygiene for use. The other alternative – well water is not properly maintained. The non-availability of toilets in some homes results to polluting the river and bush path with faeces. Ali Abdul says he will use the training to enlighten other young people in the community on the risk on dangers that come with throwing faeces by the river side. Angelina Idaghu sells bean cake and pap in the community and also benefited from the training. She says lack of toilet in homes is worsening health situations. This has not deterred Angelina from using skills learnt at the training to beautify her environment and make her shop looks appealing to prospective consumers of her bean cake and pap. Mallam Hassan’s view did not sound different from other beneficiaries. He says as a butcher, every morning when he gets to market, he wash his table before placing the meat on it. Aside that, he also strive to make his meat look clean and fresh as this has helped him to gain more customers. Ahembe Hyacianth is a retired teacher in the community and also one of the beneficiaries of the project. He says the training has added value to his family. According to him, “After attending the training, we see the importance and health benefit in keeping a clean and safe environment, our latrines, cooking utensils and we can now even plan better for our daily meal. 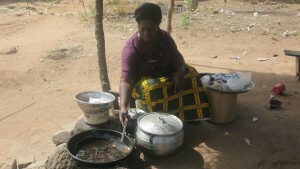 “The wash project has helped the whole community. We were able to identify members that have latrine in their homes but neglect using it. We sensitize them on how regular and daily cleaning of the latrine will make the toilet look neat. This initiative has been imbibed by many and we are glad. Beneficiaries of this project are leaving no stone unturned to further educate other members of the community on promoting clean and hygiene environment.